Is there really a new Cobra Jet? Has anyone heard of a new Cobra Jet model being offered? My father in law went to a local Ford dealer show last weekend and showed me some pictures of a car claiming that it's a brand new Cobra Jet. I'm saying there really is no such thing and that in all likelyhood this is just a suped up GT Mustang (or worse yet a poser) that a dealer has installed vintage badges on to get their 50,000 price tag. Probably because they can't meet the Shelby demand and see some opportunity. Am I wrong or is he gullable? Sorry about the poor photo's. can you just post the photos? Hmmm, I did but I guess the image tags aren't working because the links work fine on Stangnet, that's weird. You can buy those badges anywhere. Well ya I know, I am a 69' owner after all but I'm not always up on everything offered with the new models so before I get into too big of an argument with him I wanted to make sure that I was correct in my statement. Although Brad, that may be true. That picture is actually from Tasca Ford. They have been supercharging GT's since 2005 and giving them suspension upgrades, exhaust, and exterior mods and badging them as "Cobra Jets"
Now, normally I would frown upon that but after all.... Bob Tasca did create the original Cobra Jet, so I think a little latitude with the name is due. Ah, but there IS a new CJ 'Stang now. Too bad it is not legal for street use. The Cobra Jet is supposed to be released at SEMA from what I understand. This topic was started two years ago. I didn't know about the new Tasca Cobra Jet until April 2008. I don't know when they started making them. 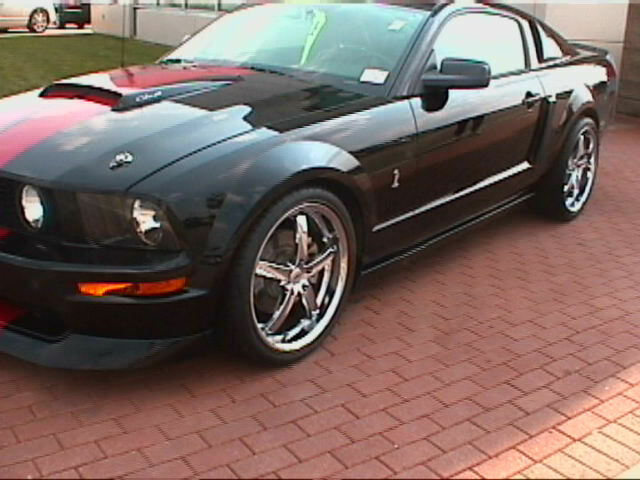 Here is three videos of a "new" 2006 Tasca Cobra Jet . . . 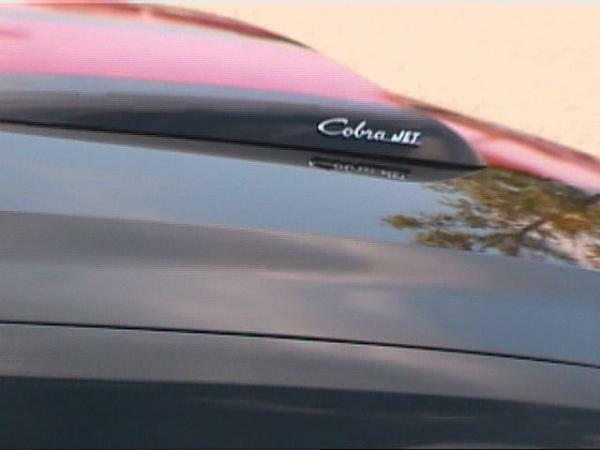 Note the Tasca dashboard plaque on this second video announcing this is a "Cobra Jet." Quick Reply: Is there really a new Cobra Jet?